Comments: Paperback Moderate staining on endpages. "Zeami's treatises on the art of No rank among the finest of all writings on the theatre. Though speciticatly devoted to the drarna of a particular place and time--Japan in the early fifteenth century--they contribute to an understanding of the dramatic arts of the world. The texts make absorbing reading, but they are difficult in the original, even for specialists. 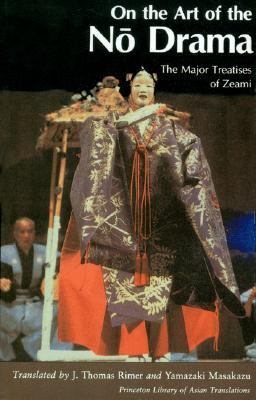 We arc fortunate that two authorities on the Japanese theatre, a Japanese and an American, have combined forces to translate and present Zeami's most significant works"--Donald Keene, Columbia UniversityRimer, J. Thomas is the author of 'On the Art of the No Drama The Major Treatises of Zeami', published 1984 under ISBN 9780691101545 and ISBN 069110154X. Loading marketplace prices 137 copies from $11.84 How does the rental process work?